just another simple bread with streusel topping…. You bake the cutest of bakes! Ever thought of opening a bakery! 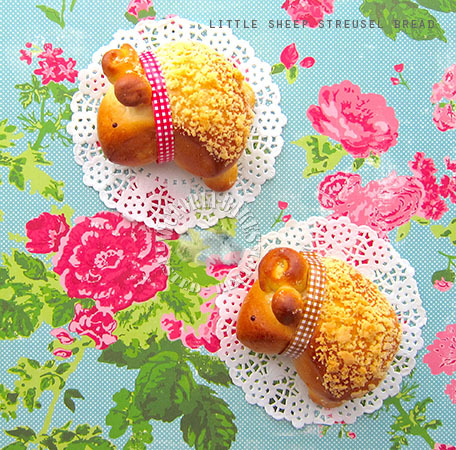 These little sheep would bring loads of smiles to anyone! 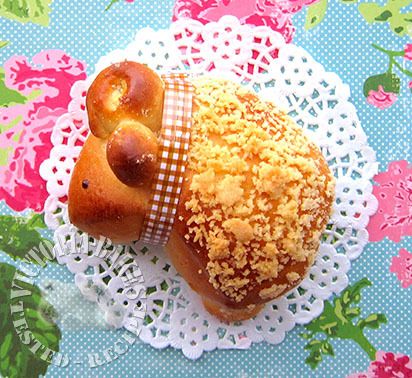 The kids will definitely be delighted with these little sheep streusel breads ! Is this also from a japanese recipe book, or you invented this yourself ?